Drycleaners looking to grow their brand and attract new customers are increasingly turning to social media to both engage directly with the public and showcase their garment care skills. Using social media to interact with the public has many advantages, chief among them the ability to connect with members of the community wherever they may be via the devices they use every day – their cellphones. Keep reading to see how four different drycleaners and one marketing maven approach the world of social media. Hand Craft Cleaners is located in Richmond, Virginia. Pam Anderson of Hand Craft Cleaners in Richmond, Virginia, has a relatively nimble footprint on Pinterest and Instagram.The weight of the company’s presence lies on Twitter, which features stock photos of gorgeous people in fancy dress, staff photos featuring delivery drivers, and people cleaning clothing on-site. 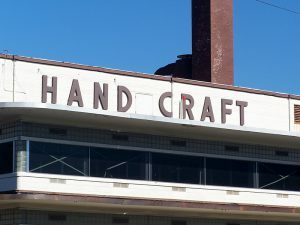 Hand Craft’s feed also features news stories about garment care and storage, links to fun YouTube videos with clothing-related content, tips on garment care, articles about how clothing affects success rates in business, videos on washer and dryer care, and how to clean up after kids, and an array of other posts. 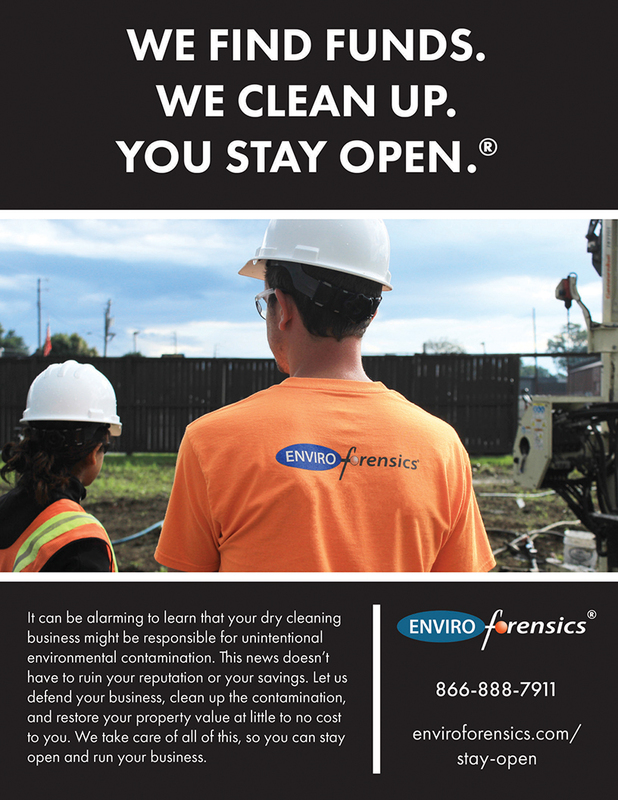 The company’s Facebook page features employee videos, stain removal tips, and much of the same content as can be found on Twitter. The content Hand Craft posts to the Internet differs little across its social media platforms, allowing it to maintain a uniform stream of high-quality content using a few carefully-selected, visually-compelling still shots and moving images. Working with a uniform cache of content makes keeping track of and uploading pictures or videos time and labor efficient. The company uses its blog to share news articles about the industry rewards it has received as well as updates about its community outreach programs. As with the other drycleaners surveyed for this piece, Hand Craft does not press the sale too hard, preferring instead to provide information about clothing care and pictures of its happy and efficient workers. Norman Way, Operations Director at Puritan Cleaners in Richmond, Virginia, uses a host of social media platforms to promote the business. 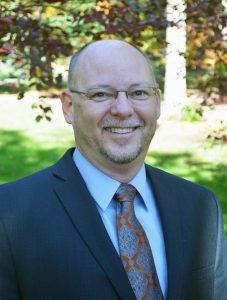 Norman Way, Operations Director at Puritan Cleaners in Richmond, Virginia, uses LinkedIn, Facebook, YouTube, Pinterest, and Twitter to get the word out about the company’s services. Social media appear to be a regular aspect of Puritan’s overall marketing and public relations strategies. Its YouTube channel features videos of the company helping needy children through the Open Arms Christian Child Development Center. The company uploads fairly uniform content across various platforms, using Facebook to highlight the company’s role in Open Arms food drives, raffle numbers, community events announcements (such as ballpark night), posts thanking its community partners, and articles detailing the different jobs needed to make a drycleaning business run. Also on Facebook are in-store videos and photos of sports mascots and smiling employees. Its footprint on Twitter is similar to that on Facebook (with, of course, far less text) but includes more personal and local-events items such as memes about happy Friday, happy puppy day, happy sibling day, happy hump day, etc. Puritan uses Pinterest with gusto, posting a kaleidoscope of pictures – everything from images of drycleaned items to drycleaning-related humor, community events, memes, attractive and well-dressed models, etc. On its blog, the company has 48 pages of articles about garment care, the history of things like pants cuffs and polo shirts, employee profiles, as well as tips for buying and caring for prom and wedding dress, among a plethora of other topics. Puritan doesn’t press the sale very hard. Instead, it uses social media to ask people to donate food to the charity it supports, provide information about how things work behind the scenes, and offer gratitude for the support they get from their community. Mark McKenney, Sales and Marketing Manager for Bibbentuckers The Drycleaner in Dallas, Texas. 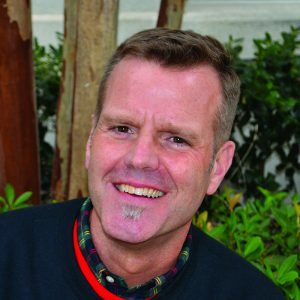 Mark McKenney, sales and marketing manager for Bibbentuckers The Dry Cleaners in Dallas, Texas, indicates that his company is moving more heavily into social media. “We finally realized that we’ve done lots of print stuff, like $10,000 on postcards which we can’t track back or see what type of impact [the investment] has had,” he said. Increasingly, the company is turning to links embedded in its various social media campaigns which give a clearer picture of any return on investment (ROI) by allowing it to precisely track Internet traffic and commerce. Its Google+, Facebook, and Twitter pages feature similar content, primarily humorous memes, links to local and trending topics such as the potential health benefits of jogging, professional stock photos promoting the company’s services, and links to blog posts containing drycleaning related content. On Youtube, Bibbentuckers has a streamlined presence that includes slick promotional videos; its Pinterest page primarily features images and tips on the preservation of wedding gowns. In addition to using BeCreative360’s social media management services, McKenney spoke highly of DLI’s Effortless Social Media program, saying that it “always has a posting of something to do with clothing care or stain removal, which is very informative, every Tuesday. The most popular recent post was about an Italian designer who made fashionable garments using plastic drycleaning hangers and bags. People [on social media] like silly things.” McKenney also speaks highly of BeCreative360’s weekly retention emails, which are sent out “according to [programmable software] triggers such as if a customer hasn’t [used the app or visited the site] in months but previously spent over $200, if it’s the customer’s birthday, things like that,” he said. Using a programmable email service allows the company to automate part of its electronic customer service efforts, thereby forming a more perfect union between social media and client relations. According to McKenney, the most popular types of content deal with garment-related problems. “Why are [people] coming to you?” said McKenney. “Because they are having problems with their clothing. We have articles on how to get stains out. People also want to read about what the drycleaning symbols mean,” and so the company generates content explaining the different icons to curious consumers. Last fall, the company focused on stories about its involvement in local and national charities. This summer, however, it has switched gears. “We check Google Trends and Analytics [software that analyses Internet traffic] to see what people are searching for, if they’re trying to find out how to clean this or that, how to do laundry best, why doing laundry the right way is so important, etc.” Staying up-to-date with the latest search trends keeps marketing budgets lean. Bibbentuckers also uses social media to interact with clients on a nearly zero-cost basis. “We have FB messenger and yelp messenger turned on. As long as it comes through the built-in messenger, I don’t have to pay for expensive [messaging or emailing] software,” McKenney said. “The big thing that’s growing is cellphones. 60 percent of traffic is mobile,” which means that working with social media that are popular on mobile devices is a trend that won’t go out of style any time soon. Bobby Patel owns Kona Cleaners in Costa Mesa, California, and is a partner at the BeCreative360 marketing consultancy. Like Rashid, Bobby Patel is at the leading edge of social media marketing. He owns Kona Cleaners in Costa Mesa, California, and is a partner at the BeCreative360 marketing consultancy. The latter is geared specifically toward the drycleaning industry and is involved with the marketing efforts of a number of the other people highlighted in this piece. Kona has a presence across a broad spectrum of social media websites. The company uses Yelp to showcase its various facilities and interact directly with customers, addressing their needs and concerns. “Consumers today research companies very thoroughly before spending their hard-earned money,” Patel said. “Part of that research could be looking at the social media presence of that company.” Patel currently serves as DLI’s District 8 Director. Kona uses Instagram to post high-quality images of models in fine and well-fitting clothing, seasonal and funny memes, as well as photos and videos of their employees and the inner workings of the drycleaning business. On Foursquare, Kona posts basic business information and interacts directly with customers. Its Facebook page is chock-full of employee and company event pictures, shots of models wearing dress clothing, and funny videos – including a few of adorable cats. 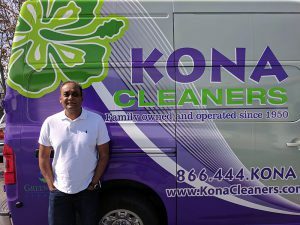 For the most part, the content uploaded to the various Kona Cleaners social media pages tends to be the same or similar with a varying amount of text. In this way they target a broad range of potential users across multiple pages using a few examples of compelling visual and written content. On Linkedin, which is a social media site geared primarily toward networking, Kona provides brief company contact and operational data without maintaining a strong content presence. As you market your drycleaning services on social media using compelling and engaging posts, remember to address customer concerns and respond to inquiries as quickly as you possibly can. Start small with a new, business-oriented account or two, then ramp up your efforts to mirror those detailed above. With perseverance, a handful of attractive images, and some informative text, you’ll be successfully marketing via social media in no time at all. Brian Rashid, CEO and creator of a branding, digital media, and communications company, also produced a series of videos for DLI members about how to use social media effectively. 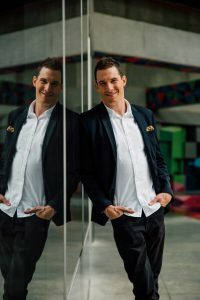 Brian Rashid – CEO and creator of “A Life in Shorts,” a modern day branding, digital media, and communications company – operates near the peak of social media mastery. He’s on Snapchat, Instagram, Soundcloud, iTunes, and Medium, to name a few. He uses his blog and podcast to spread the word about the enduring power of storytelling in our digital age. His YouTube channel features both short and long videos of him giving life and business tips as well as full recordings of his keynote addresses. On Linkedin, Rashid primarily networks with his followers and provides links to his various Youtube videos. He uses Twitter and Instagram to upload memes, closeup selfie-style pictures of him on the road or with interviewees, short videos, and links to his own website and social media posts as well as pertinent news reports. On Facebook, he for the most part posts links to, and blurbs describing, content that can be found on his Youtube channel. Social media seems to play a major role in Rashid’s marketing strategy. As with most other prominent social media users, he adds content to his sites at least once a day. Rashid also developed a special series of online marketing videos for DLI members. Join to access a wealth of money-saving benefits and services.